Synopsis: The epic Biblical story of the Resurrection, as told through the eyes of a non-believer. Clavius, a powerful Roman Military Tribune, and his aide Lucius, are tasked with solving the mystery of what happened to Jesus in the weeks following the crucifixion, in order to disprove the rumours of a risen Messiah and prevent an uprising in Jerusalem. Director Kevin Reynolds (Robin Hood, Prince of Thieves (1991), Waterworld (1995), The Count of Monte Cristo (2002) brings a powerful new perspective on the Biblical story in time for Easter. 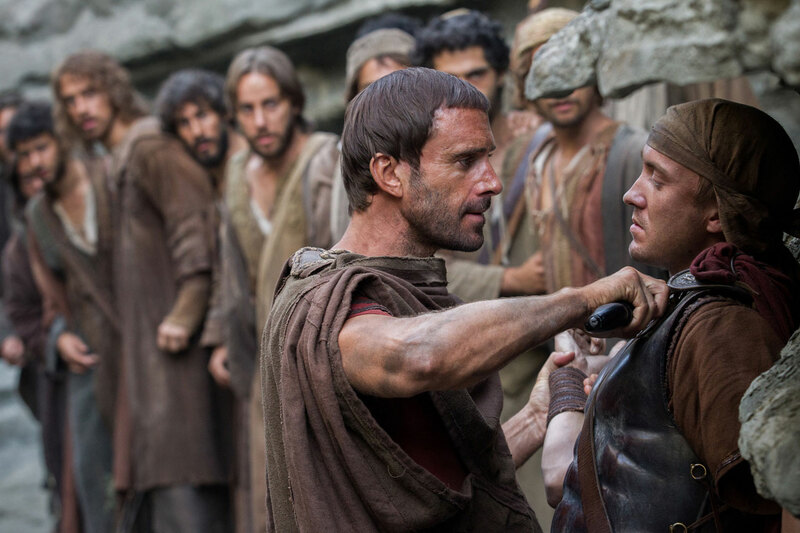 With a superb acting ensemble and a convincing script from Kevin Reynolds and Paul Aiello, Risen puts a different angle on the story of Christ from the Crucifixion to the Resurrection, from the viewpoint of the Romans. Almost a detective story, Joseph Fiennes (Shakespeare in Love (1998), Enemy at the Gates (2001) is Clavius a Tribune tasked by Pilate (Peter Firth) to investigate what happened to Jesus. Fiennes is utterly convincing as our Everyman protagonist who is an unbeliever who becomes mesmerised by the charismatic Yeshua (Cliff Curtis). With atmospheric filming locations in Spain and Malta and stunning cinematography from Lorenzo Senatore, Risen is a well-made and involving addition to the Biblical genre of cinema.